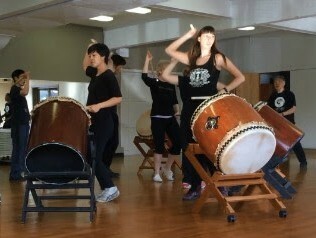 Learn to play Japanese taiko drums at one or more of Uminari Taiko's upcoming drop-in sessions! An instructor will teach drills, practice pieces (renshu), and help fine-tune your taiko skills in a fun and welcoming environment. No experience necessary! Cost: $10 per session or $60 in advance for all eight sessions. Space is limited; email [email protected] today to reserve your spot. Known for its powerful rhythms and captivating choreography, taiko drumming is gaining popularity worldwide as a high-energy art form. Based in Victoria, Uminari Taiko has been sharing the joy of taiko through performances and workshops since its founding in 2002.